In the second series between the 2017 ALCS competitors, the Astros will travel to the Bronx to take on the Yankees. New York (33-16) and Houston (34-20) have the second and third best records in the American League respectively. Houston sports the best starting rotation in the league but has had some trouble in the back end with the bullpen. The Yankees will show off the best lineup in the league, one that goes one through nine with players that can beat you. The Yankees took three of four when these teams met in early May. Expect a back and forth series with a fair share of drama. Justin Verlander will take the bump in Game one for the ‘Stros. Verlander has shown that he is still one of the best pitchers in the American League, if not the best with his performance thus far in 2018. He leads the league in ERA (1.08) and WHIP (.71) by a large margin. Verlander’s strong fastball still can creep up into triple digits, even at age 35. In his May 1st start versus the Yanks, Verlander tossed 8 scoreless, striking out 14 batters. He has had the Yankees number of late, so this one will be a tough match-up. 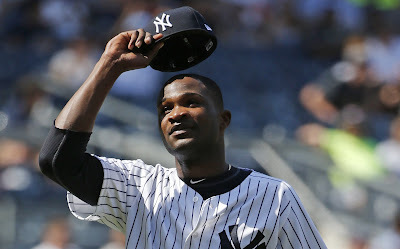 Domingo German will make his fourth straight start after opening the season in triple-A, before his promotion to a long reliever for New York. After a six inning, no-hit, scoreless start, German has given up six runs in his previous two starts. German was inserted into the rotation after Jordan Montgomery suffered an elbow injury in early May against these same Astros. German had a solid performance in that game in relief of Montgomery, going four innings and giving up zero runs. This game looks to be one where the Yankees will need at least five runs to win, but who really knows what German will do with such a small sample size. Charlie Morton has revived his career in Houston and is experiencing the best season of his life through two months of 2018. He has the second-best ERA in the AL (2.04) and is 10th in WHIP (.97). He is striking out 10.9 batters per nine and even at age 34, he has improved in all facets from the hill. In his April 30th start versus the Yankees, Morton went 7.2 IP, giving up one run while striking out 10. No Yankee has seen much success against Morton, so it will be another tough match-up for the Bombers. CC Sabathia will be making his tenth start of his seventeenth season on Tuesday night. He has seen success this season, but Sabathia’s last start was not one to remember. He gave up seven earned runs in just 4.1 innings pitched against the Rangers last Wednesday, marking his worst start of the season. Sabathia was not featured in the four-game set between these two ball clubs at the beginning of the month and has not faced anyone in the Astros lineup more than three times (not including postseason play). Look for CC to come out fiery after his previous poor outing. Dallas Keuchel’s win/loss record (3-6) may not look as pretty as some of his rotation buddies, but he has put up another solid two months to begin the season. Seven of his eleven starts have been “quality” and he has only allowed more than three runs twice this season. Keuchel’s strikeout numbers are down (6.9 per nine), but his slider/change-up combo has combined to give him one of the highest ground ball rates in the Majors. In his May 2nd start versus the Bombers, Keuchel went seven innings and gave up three runs. The damage came courtesy of Giancarlo Stanton who hit two home runs off the lefty. The Yankees ace will take the bump on Wednesday night looking to throw up his ninth straight quality start. Severino has been dominant this year, giving up one run or less in six of his eleven starts. He got the best of Dallas Keuchel earlier this season, pitching a complete game shutout in Houston. Severino has been up and down in his career versus Houston, and Carlos Correa has a career average of .375 versus him in ten at bats. Sevy has been a workhorse all season, and I do not expect that to change. He is 4-0 with a 1.64 ERA in six starts at home this season, so look for him to pitch well in this one. 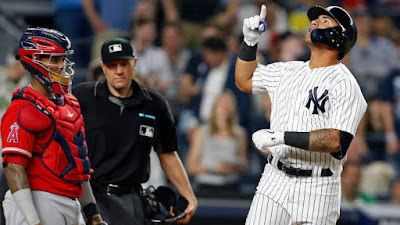 By now, every Yankee fan knows and loves the rookie Gleyber Torres. He was brought up on April 22nd and has not looked back since. He is hitting .323 with nine homers in just 99 at bats. Over his last seven games, Torres has been on a tear, specifically with the long ball. He has put six over the fence in his last 26 AB’s, including his first multi-home run game. Torres went 4-for-12 in the early May series versus the Astros. The other young Yankee phenom is Miguel Andujar. He is hitting .296 with five home runs in 162 at bats this season. Over the last ten games, Andujar is 15-for-40 (.375) with five extra base hits. Andujar is a pretty streaky hitter, but he is coming into his own slowly but surely. I could see a breakout series for him against the reigning World Series champs. The third year third-basemen started the season off slowly but has since picked up his stroke. His nine-game hitting streak was broken after an 0-for-4 on Saturday, but Bregman has been raking as of late. Over his last ten, Bregman is 12-for-38 ( .316) with two homers and seven RBI. 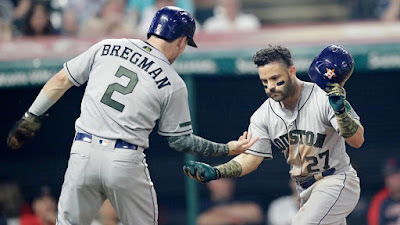 However, Bregman is a combined 1-for-11 against the three Yankee starters in his career. This is something to look out for. The reigning MVP is experiencing another strong season in 2018, slashing .321/.369/.447. Though his home run numbers are down (3), he has continued to be one of the most consistent hitters in the league. He is 10-for-15 in the last three games, putting up back to back four hit performances. Altuve has always been a thorn in the Yankees side, and they will hope to bottle him up out of the three hole this series. The Yankees have their hands full with the reigning World Series champs, but this team is not afraid of anyone. In what could easily be a preview of the 2018 ALCS, both teams will be hungry to rack up some wins, as you never know how valuable they will be when it comes to tiebreakers in the AL. 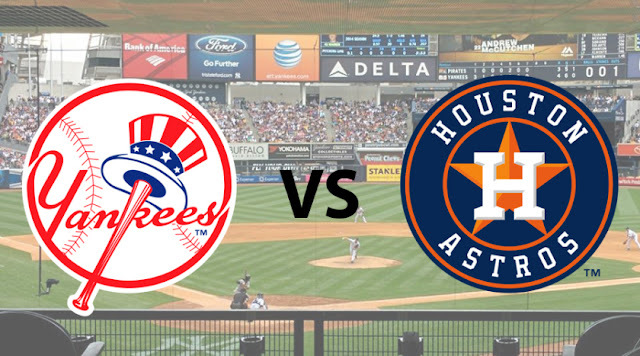 Every game in this series should be entertaining, and I am interested in seeing how the Yankees young guns handle this veteran Astros staff.